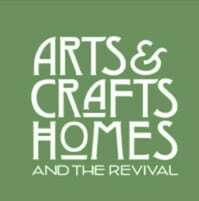 The Arts & Crafts revival is alive and well in this city filled with bungalow-era neighborhoods. Charming, intact neighborhoods of the early 20th century surround Seattle’s bustling downtown core. 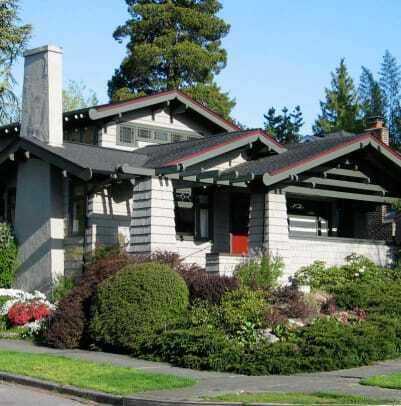 Find acres of Craftsman-style houses when you visit this wonderful city, my hometown. The best time to make the trip is mid- to late summer, when the clouds part and the chance of sunshine is greatest. Walk down to the waterfront, where the recently opened Seattle Great Ferris Wheel affords views of the city and Elliott Bay. A few blocks south, historic Pioneer Square is the oldest part of the city, with picturesque Richardsonian Romanesque brick and stone buildings built after the Great Seattle Fire of 1889. If you don’t mind being a tourist, take the Underground Tour [undergroundtour.com], which leads through the now-underground streets and passages from the earlier city that was covered up as Seattle rebuilt. Gustav Stickley and other American proponents of the Arts & Crafts movement were advocates for Native American art and craftsmanship. A good place to see everything from baskets to totem poles is the Seattle Art Museum [seattleartmuseum .org], next to Pike Place Market. And, of course, the Arts & Crafts revival is in full swing in Seattle. 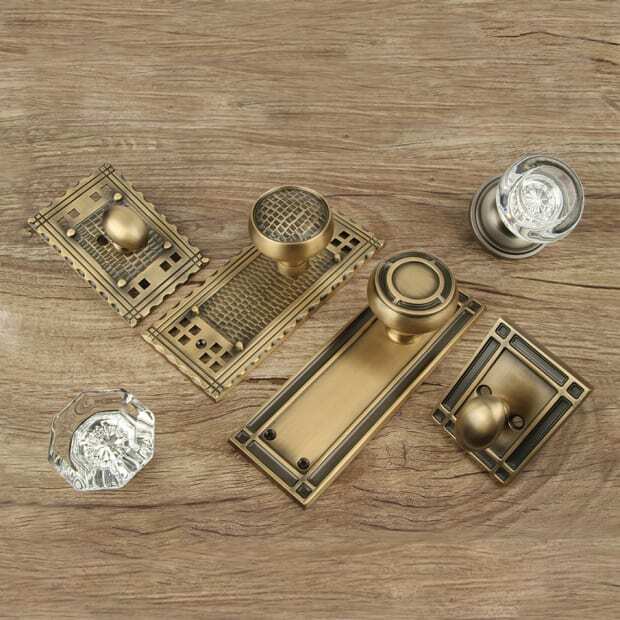 Make an appointment to visit the studio of your favorite artisan. 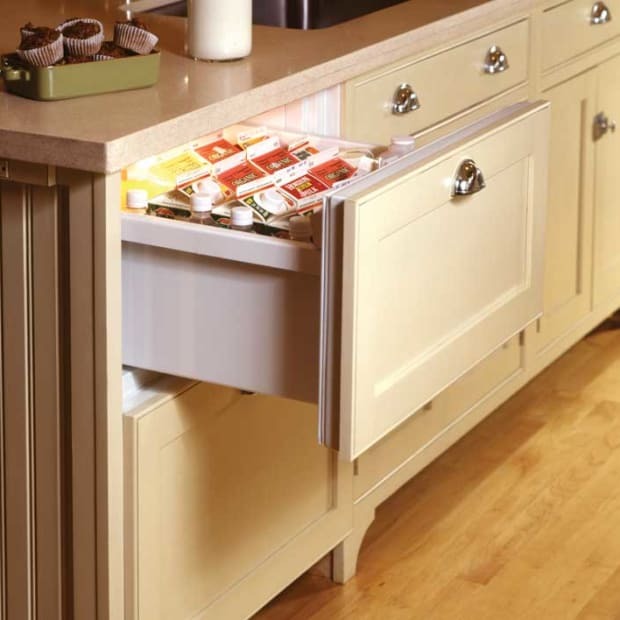 Seattle has a strong tradition of architects working in the Arts & Crafts manner. The best way to see their work is on a leisurely drive through the neighborhoods. Mount Baker, south of the downtown core, is one of the loveliest areas. 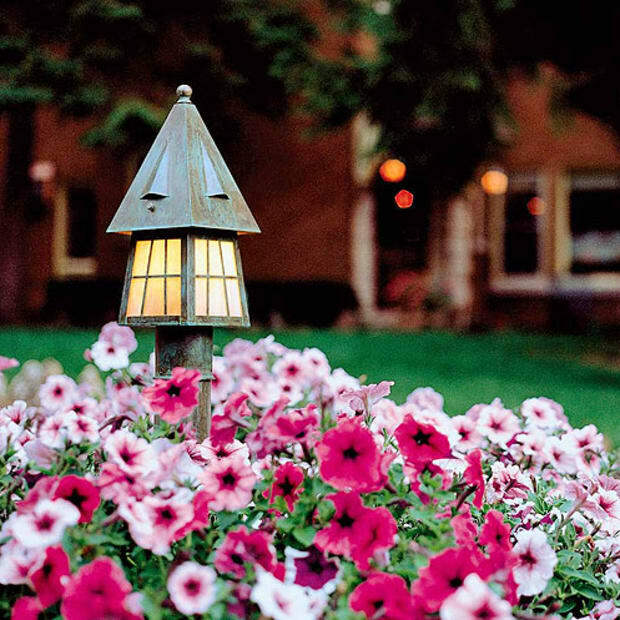 Its broad, gracefully winding boulevards, planned by the Olmsted Brothers, are lined with some of the city’s largest Arts & Crafts and Historical Revival-style homes. Drive by the 1915 Evans House [2306 34th Avenue S.], a quirky Mannerist Craftsman by Ellsworth Storey. Head east down to the lake and follow Lake Washington Boulevard as it winds along the waterfront. Further north, don’t miss the Pantages House [1117 36th Ave. E.], an eclectic, half-timbered Tudor-meets-California Mission, designed by famous Seattle architect Arthur Loveless. Go by architect Ellsworth Storey’s own two homes [260 and 270 Dorffel Drive]. 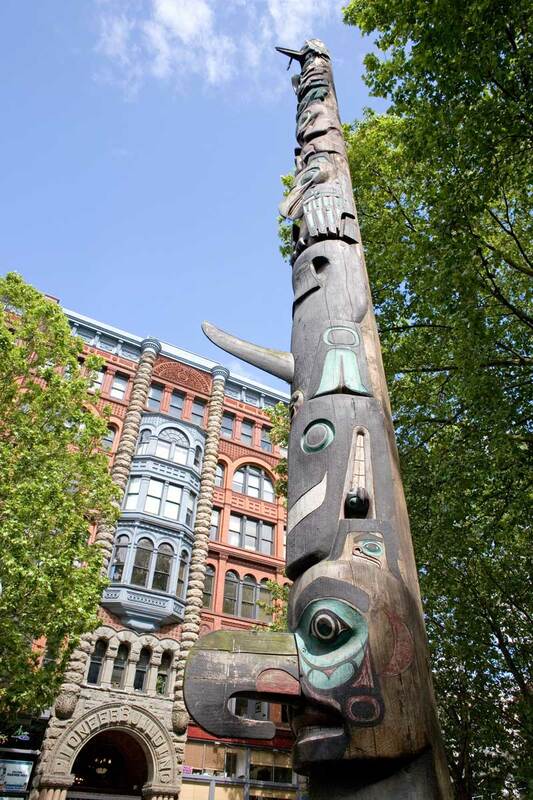 Pioneer Square, on the southern edge of downtown Seattle, offers glimpses of the city’s history with ornate street lamps and massive totem poles. 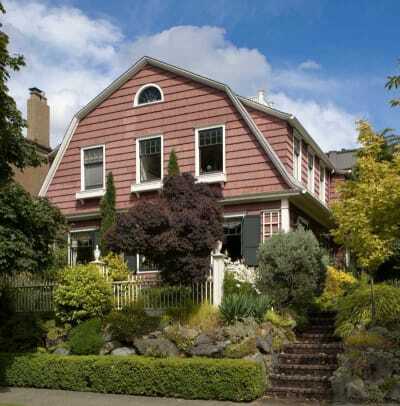 Directly east of downtown, Capitol Hill is one of Seattle’s oldest residential neighborhoods. 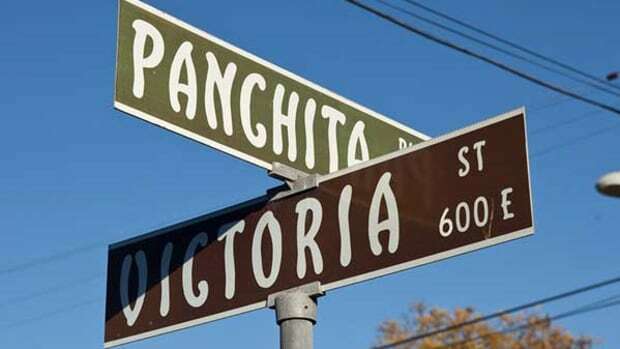 Its streets are lined with imposing Craftsman homes and eclectic, early 20th-century mansions. I suggest starting on Broadway with its shops and restaurants. (Duck into Olivar’s at 806 E. Roy in the historic 1930 Loveless Building; you have to see the magical murals of Pushkin’s fairy tale of a swan turned into a princess.) Just a few of the A&C landmarks here: the fanciful English Tudor apartments [1107 21st Ave. E.] by Fred Anhalt, a 1904 English Tudor with Arts & Crafts details [1531 10th Ave. E.] by Graham Sr. and Bodley, and an exotic 1909 Swiss Chalet [2800 Broadway E.] by Cutter & Malmgren. The row of bungalows is typical of the Ravenna neighborhood. Across Lake Union, Queen Anne Hill rises above the Seattle Center, site of the 1962 World’s Fair. Start by taking the elevator to the top of the Space Needle to get oriented with unsurpassed views of the region. On top of Queen Anne Hill, Highland Drive offers beautiful views of downtown and Mt. 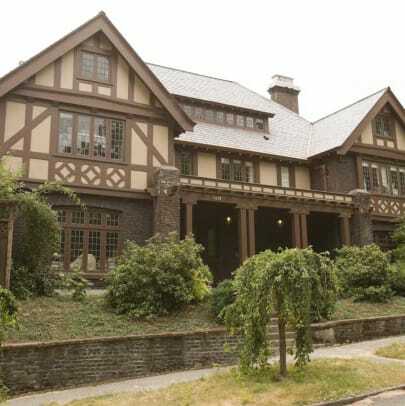 Rainier, and it’s lined with period mansions, including Chappell House [21-23 Highland Drive], a highly decorated, half-timbered 1905 French Gothic house by architect Edgar A. Matthews. Further north, Andrew Willatsen’s 1909 home [2433 West Wheeler St.] shows Prairie School design adapted to the Northwest. End the day with a home-cooked meal at the unpretentious Queen Anne Café [2121 Queen Anne Ave. N.]. Seattle’s favorite preservation organization; check website for lectures, tours, events. Get the most up-to-date events for the area. Mention Florida and thoughts of sunshine, palm trees, and white beaches come to mind—but so should bungalows. 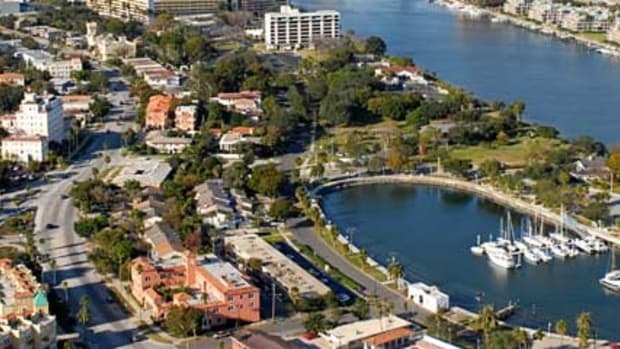 Historic neighborhoods filled with charming Arts & Crafts-era homes (tiled Spanish haciendas, shingled Craftsman cottages) fill Tampa and St. Pete. 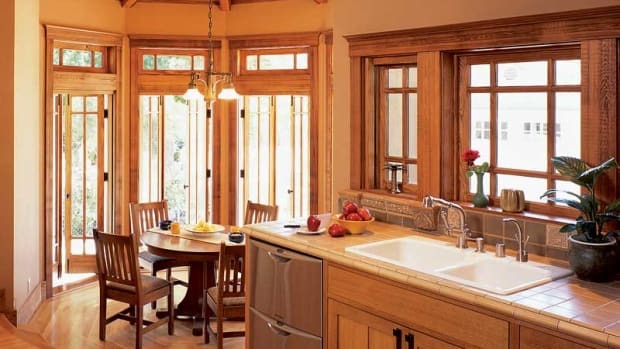 Do you want a true bungalow-era kitchen, or are you leaning toward a period-inspired kitchen of the Arts & Crafts Revival?